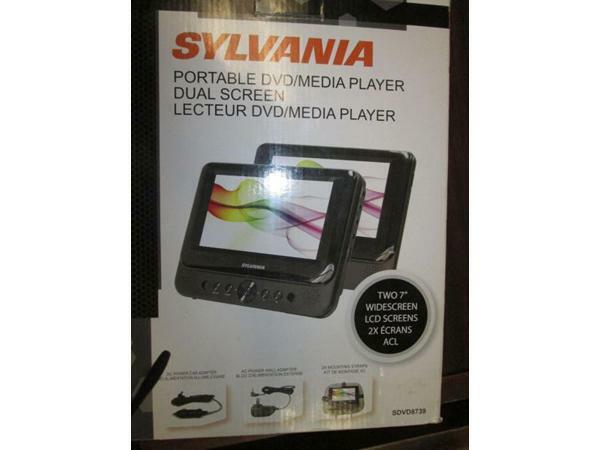 Sylvaina 7 inch portable DVD player with 2 screens. 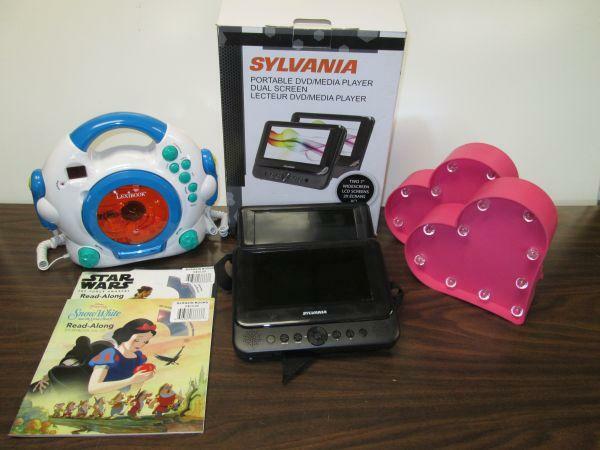 Tested working. 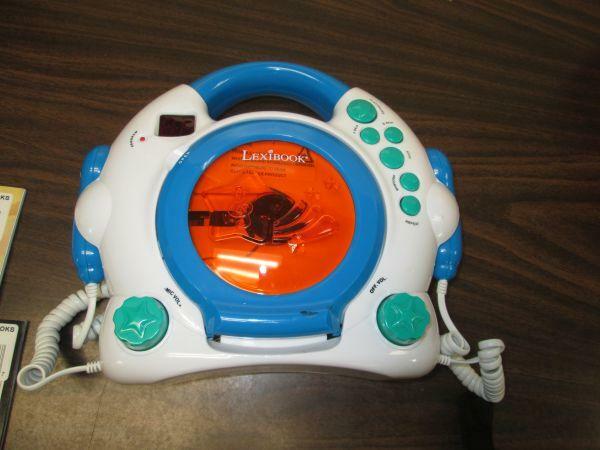 Lexibook childrens cd player and voice microphone powered on untested. 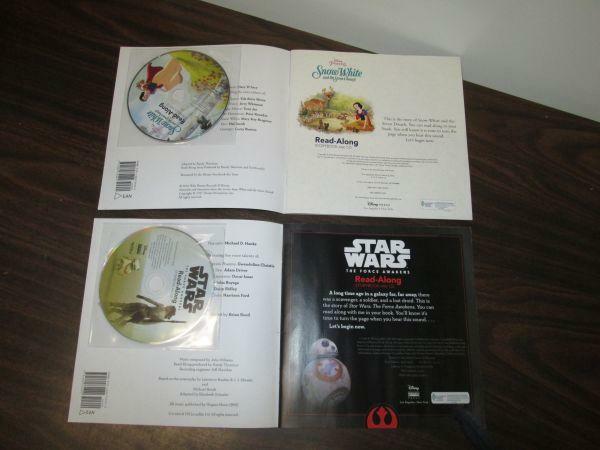 2 read along cd books snow white and Starwars. 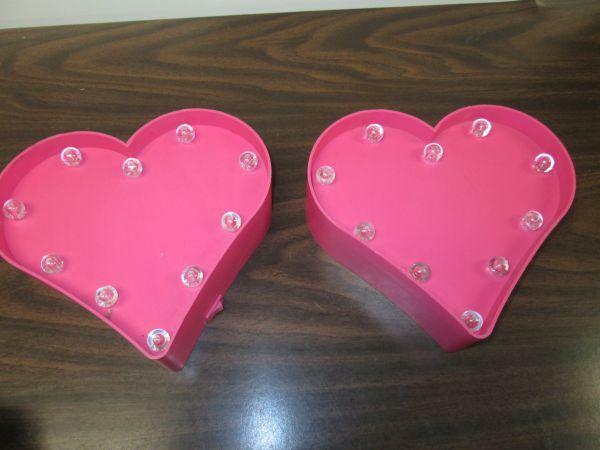 2 heart lamps tested working.